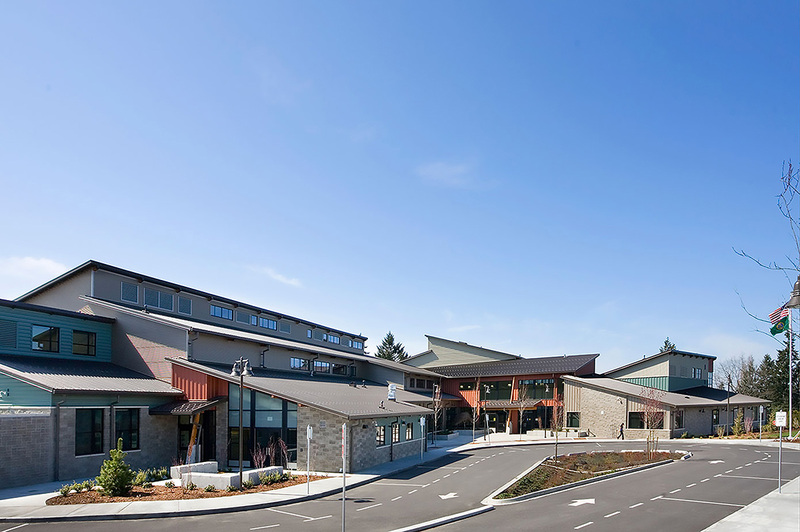 Highline Public Schools serve a half-dozen communities south of Seattle, including Burien, where Shorewood Elementary educates approximately 550 pre-kindergarteners through sixth-grade students. The school’s “cafetorium” is actually two spaces: a cafeteria/auditorium and a gymnasium, separated by an air wall. The cafetorium’s sound system, which is separate from the school intercom, was installed in 2010, and the power amplifiers and speakers worked well. However, the DSP that was initially installed proved too difficult to use. In search of a more user-friendly solution, the school contacted Dave May of Impulse Audio in Seattle. The gym side of the cafetorium employs one microphone input for the gym coach’s wireless headset microphone and one music input. The cafeteria/auditorium side boasts a wireless mic input, four microphone inputs on a small stage, and an auxiliary combo input on the back wall to employ an MP3 player or another audio source. “We gave them a portable analogue mixer in a case, and they can plug it in the rear of the room and run a complete show from a tactile mixer if they want,” details May. All sound sources go directly to analogue inputs on the Solus NX, and the DSP sends analogue out to the power amps and speakers. The school’s Solus NX manages two audio systems, one for the gym and the other for the cafeteria/auditorium, with an ARC-3 wall panel in each space. Combining the two spaces is as simple as opening the air wall and touching a button on either wall panel. The system also can be controlled from a Windows tablet, thanks to Symetrix’ SymVue network-based runtime application for Windows PCs, touchscreen-enabled PCs, and tablets. SymVue displays control screens for Symetrix Radius, Edge, Prism, and Solus NX DSPs authored in and exported from, Symetrix Composer programming software. Symetrix has announced a haul of new technologies including a Control Server platform, a USB Audio Card for its Dante-enabled Radius and Edge DSPs, and an update to Composer v5.6, its award-winning open architecture design software. Control Server is a web services platform for control of network AV systems, including Symetrix Radius, Edge, Prism, and Solus NX DSPs. 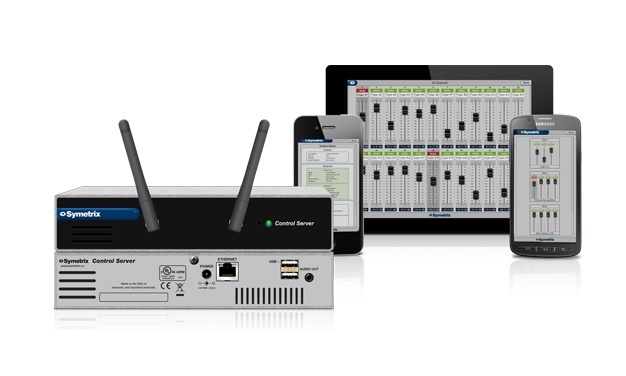 Programmed using Composer, Control Server offers wired connections for the AV network and Wi-Fi connectivity for control. The platform comes equipped with one instance of Symetrix’ Mixer app, which provides 32 channel strips, each with an assignable fader and a mute button, and offers dynamic screen-sizing and orientation, making it easy to mix events with virtually any mobile device or computer browser with multi-touch functionality. The USB Audio Card provides two modes of operation: Speakerphone and Line In/Out. Each mode offers two configuration settings. Speakerphone mode provides plug-and-play connectivity, and enables one input channel and one output channel. Soft-codec acoustic echo cancelling (e.g., Skype, WebEx, and GoToMeeting) can be disabled in favour of Symetrix’ wide-band, low-latency AEC processing. Line In/Out mode is configurable for 2×2 or 8×8 recording and playback, using courtroom recording or audio production software. The USB Audio Card adds eight USB audio inputs and eight outputs to a Radius AEC or Radius 12×8 EX, and up to 32×32 input and outputs for Edge DSPs. A high-retention Type B USB port provides a standard and robust connection between DSP and computer. Supporting the Control Server and the USB Audio Card, Symetrix has also released Composer v5.6, the latest version of its programming software for Windows. The web interface diagnostic page for Composer v5.6 now shows Dante-related diagnostics, and each DSP unit supports connections with up to four Shure devices. Noteworthy is the addition of Juice Goose Super-modules to control Juice Goose iP Series power sequencing and control devices. These Super-modules, which feature Symetrix’ custom graphic user interface, provide simultaneous user control of each individual pod, enabling the user to individually or sequentially power the pods up and down. Porto is home to one of Portugal’s most important art and architecture foundations, the Serralves Foundation, which governs the Serralves Museum of Contemporary Art and Serralves Park. Both are National Monuments, Portugal’s most important heritage classification. 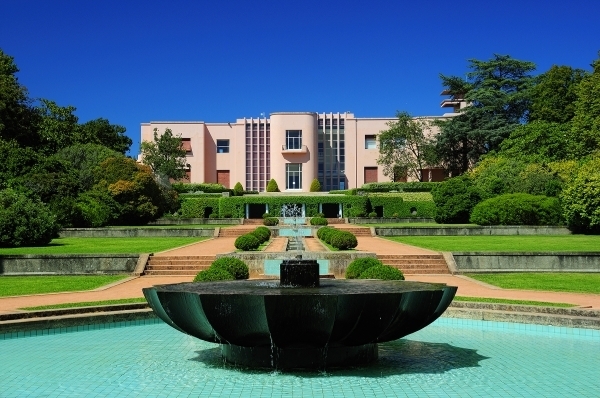 Over the past years, the Serralves Museum has become Portugal’s most popular museum: visitors now exceed 300 000 per year. They are drawn by world-class cultural events – such as a recent exhibition of Spanish artist Joan Miro. Many of the more than 80 works had never before been shown publicly. With such high visitor numbers, the Serralves Foundation searched for support in managing their visitor flow. Administrators wanted to identify high- and low-traffic days, so they could adjust staffing levels and thereby prevent long queues at entrances and dangerous overcrowding of exhibition rooms. Bosch supported the Foundation by installing FLEXIDOME IP panoramic 7000 video cameras inside and outside the museum. Then the cameras were connected to the Bosch Remote Portal. The cameras provide a complete 360-degree view of a certain scene without blind spots. Thanks to their build-in video analytics function, the panoramic cameras are enabled to interpret what they see. In this way, they not only capture and transmit video images, but they can also transmit associated data, like object type, size, speed and much more. Remote Portal is a software that as a service allows installers to access via the cloud any Bosch IP camera to configure applications, monitor the health status of the camera or set up camera counter reports. Thus, this solution enables the Museum’s administration to count visitors – and report the count in real time. The Remote Portal allows for the creation of visitor traffic reports over a day, a week or several months. All data can be easily exported to other applications. With the help of this information, the Serralves Foundation plans and relocates staffing as well as other resources well in advance. Also, if needed, security guards can avoid the entrance of more people inside the Miró Museum. It manages visitor traffic over the course of the year, so all visitors can indulge fully in experiencing fine art – rather than the art of being stuck in a crowd. 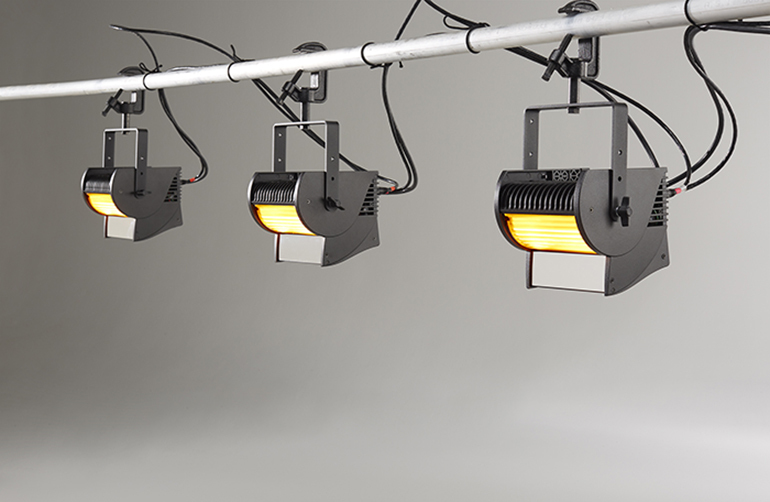 ETC’s newest addition to the ColorSource® fixture family is the ColorSource CYC. A dedicated cyclorama fixture with a sole purpose of creating beautiful, smooth washes of light on a cyclorama or wall, ColorSource CYC produces a wide range of bold colours using a unique, all-LED, five colour mix of red, green, blue, indigo, and lime. 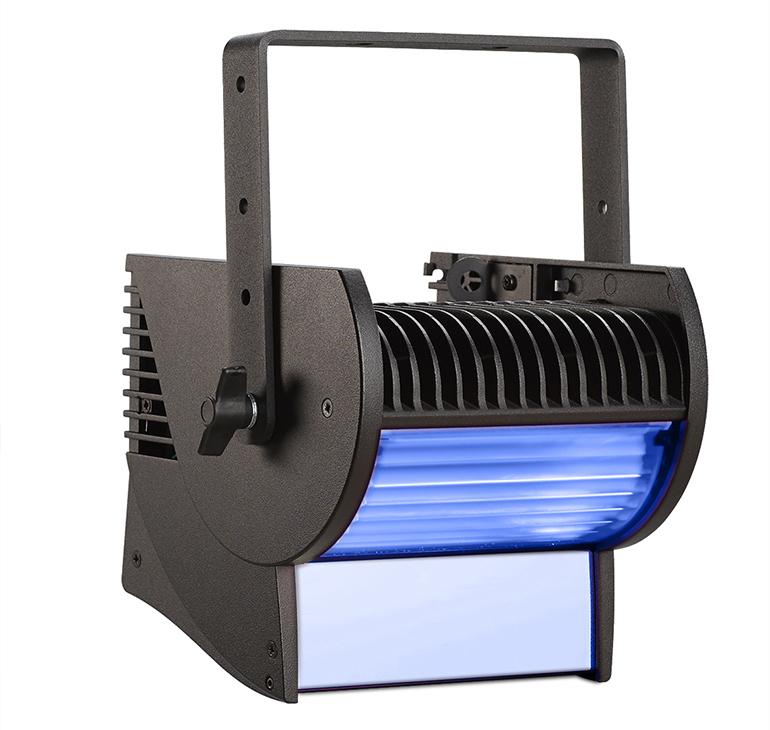 ColorSource CYC eliminates the need to replace expensive lamps and highly saturated, coloured gel that burns through after a couple of shows. Furthermore, these fanless, LED fixtures consume a fraction of the power of other standard CYC fixtures. However, lower power consumption doesn’t equal reduced light output. In fact, it’s possible to light a full cyclorama with a fraction of the fixtures typically required. With a compact and lightweight design, this affordable fixture practically blends in with the background. ColorSource CYC can be quickly set up on a stage floor, or hung from a pipe with ease, meaning it’s no longer necessary to lug around large, clunky, boxy fixtures or setup ground row after ground row or border after border. Each fixture includes an optional hanging yoke, power in and thru connections for easy installation, and standalone presets and sequences, making installation and set up a breeze. With the new ColorSource CYC fixture, comes an update to ETC’s CYC Tool. This powerful fixture app will do the work for you – calculating the number of fixtures required and how far apart to space them to get full cyclorama coverage. The latest version of the CYC Tool is available to download now via iTunes and Google Play. Learn more about both the ColorSource CYC and the CYC Tool on the ETC website at etcconnect.com/ColorSource. 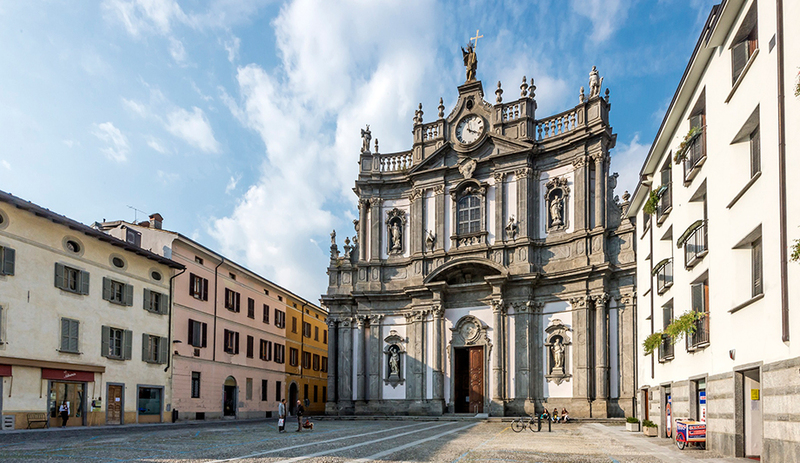 The town of Morbegno in the Italian Alps near the Swiss border will be relying on the competence of Bosch Energy and Building Solutions Italy to boost energy efficiency in its public buildings and other facilities within the scope of a long-term project financing contract. Among other things, it includes installing LED technology in all public lighting and in the interior lighting systems of municipal buildings, upgrading the municipal heating systems while continuing to maintain the existing district heating network, bringing the fire protection systems and warning signs in all municipal buildings into line with current standards, installing new public lighting systems within the scope of the “Progetto Parchi Sicuri 2017” (2017 Safe Parks Project) and carrying out both routine and any required special maintenance of the upgraded systems. The contract also calls for modernising panelboards and replacing over 15,000 meters of power lines, installing a solar power system and an air-water heat pump, and implementing a number of “smart city” functions such as a 24/7 call center, remote control and management of systems, and new photovoltaic systems on municipal facilities with total capacity of 45 kW. 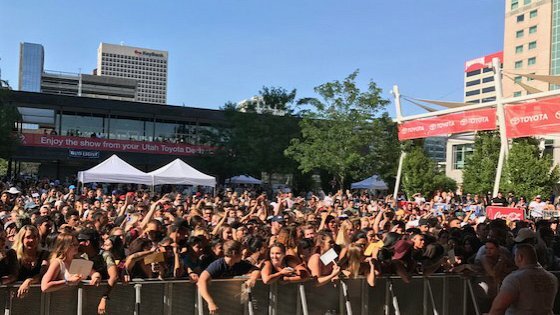 Every summer since 2001, the Salt Lake City Jazz Festival has brought a wide range of local and national talent to the downtown area. Pratt Sound has been the audio provider for every one of them. This year, they covered the outdoor Gallivan Center, which can host up to 4,000 people, with an Electro-Voice X2 line array system. This year’s performances ranged from acoustic quartets to powerful big bands, with vocalists such as Las Vegas Entertainer of the Year Bob Anderson, doing his uncanny Frank Sinatra tribute. Other headlining vocalists included Andrea Miller and Emilee Floor, with big bands including Night Star Jazz Orchestra and Salt Lake City Jazz Orchestra. Notable instrumentalists included pianist Lee Musiker, tenor saxophonist Greg Floor, and clarinetist Eddie Daniels. Ed Pratt notes that the Electro-Voice X2 system allowed him to mix at full concert levels with only six line array boxes and two subwoofers per side, providing all the headroom required to deliver exceptional musical clarity and balance for quartets and orchestras alike. The twin main arrays consisted of X2-212 loudspeakers with 90-degree dispersion, with ground-stacked pairs of X12-128 subwoofers on the deck below. The entire rig was powered by six TG-7 amplifiers with RCM28 network and digital signal processing modules, allowing the entire system to be networked together for centralized monitoring and control via the EV IRIS-Net system. Pratt is quick to note the X2 excels across a wide range of genres, making it his go-to system for any major event, large or small. Please contact us or your nearest Electro-Voice dealer for more information on EV products. 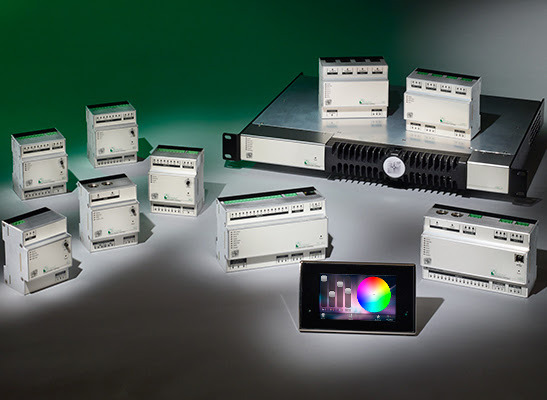 The premiere product for lighting control and media effects on a grand scale just got better. The newest version of Mosaic software – 2.4 – is here, and includes features big and small, including a new type of timeline, RGB over DALI control, and more. Timeline has undergone the biggest change in Mosaic v2.4 – adding a real-time 24-hour timeline option. The new timeline starts at midnight and ends at midnight one day later. This real-time timeline makes it very easy to program effects based on any given hour of the day, and includes all events within one timeline, removing the need for multiple timelines and triggers. The new real-time timeline also includes waypoints that automatically adjust to astronomical events. For example, events can be set to run from sunrise to sunset, and the software will automatically adjust the timing of events to fill the time, whether it’s a long summer day or in the middle of winter. Other new features include the addition of I/O module support to distribute custom triggers to external programs, a newly re-designed patch to make setup easier, simple RGB control over DALI, bug fixes and optimisations. Mosaic v2.4 is available for download now. Current generation Mosaic products already in the field can be upgraded. Contact us or your closest ETC dealer for more information on ETC products. Eos v2.6.2 is a patch that addresses several bugs in the previous Eos family software release. It is recommended that you update your console as soon as production schedules allow. If you’re updating from an older software version (pre-v2.6), please note that the output of your Eos family controller may be increased/adjusted in accordance with the new output scheme introduced in that release. You can read about the changes in v2.6 here. ColorSource v1.1.3 is a patch release that fixes a number of playback-related issues in the previous release for your ColorSource or ColorSource AV console. 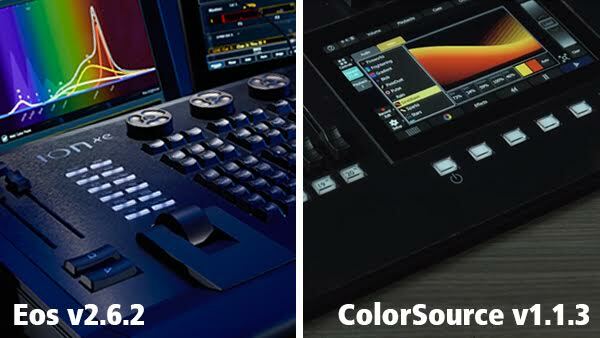 It is recommended that all ColorSource users update as soon as their production schedules allow.